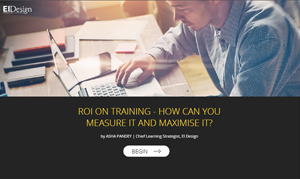 Are you making the most of your learners’ experience and skills? Do you encourage them to contribute eLearning content to facilitate knowledge sharing? 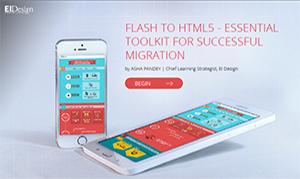 If so, are you maximizing the full potential of these learner-generated eLearning resources? Learner-generated content may be in the form of online presentations, videos, or even links to useful sources of information. Learner-generated content is beneficial to online learners because it increases the engagement levels in eLearning and makes the experience more personalized. 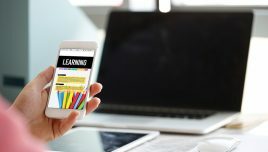 Encouraging learner-generated content in eLearning promotes peer-to-peer interaction, which increases the pool of knowledge amongst online learners. For it to be useful, you must moderate all information and use it effectively in your eLearning strategy instead of letting a golden knowledge sharing opportunity pass you by. You must also recognize individuals who contribute the best eLearning content and encourage underperformers to rise to the challenge. 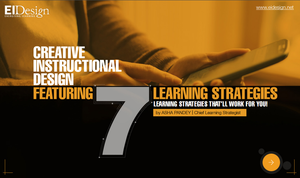 Here are 7 top tips to incorporate learner-generated content into your eLearning course. Create a company Wiki in the eLearning course and add permissions for people with access to the eLearning course to upload learner-generated content. You can avail topics for online learners and employees to research and write about. Also, you can encourage further research of existing eLearning content to add on existing knowledge. Encouraging attachment of useful links for further reading by online learners is also a good way of adding learner-generated content to eLearning. Since not all online learners can provide excellent information, it is wise to install control of content measures. You can have a team of moderators to go through the information provided by online learners and approve it for posting. 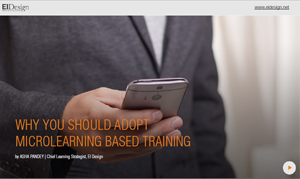 eLearning blogs get online learners actively involved in contributing to a topic. eLearning blogs are especially useful when different perspectives are required. For example, to expose online learners to multiple viewpoints regarding a compliance issue. They are not limited to a certain word count, so online learners can contribute as much useful information as they have. They are also a great source of peer-to-peer interaction and peer-based feedback. Online learners can visit the site and add their own insights to their topics of interest. eLearning blogs also help online learners to improve their understanding of difficult topics because they facilitate online discussion. eLearning newsfeed motivates online learners to share high-quality learner-generated content from around the web. Online learners can also share their thoughts via these platforms. Noteworthy pieces of work can be published on your newsfeed to give online learners a point of reference and an example to follow. 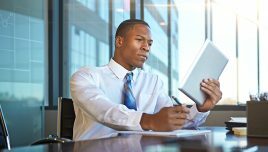 For instance, an online learner submits a standout article regarding sales and negotiation skills that can benefit the rest of the group. Newsfeeds should be kept up to date so that online learners always have access to relevant information. Mind maps are a valuable asset to your online learners. They typically center on a problem, image, or word that is presented to online learners, who are then asked to seek a solution or unearth new ideas. Mind maps present different ways of approaching a similar situation. They give online learners different perspectives. They also help them identify issues or poke holes into their thought process. Thereby, stimulating critical thinking and problem solving amongst your remote audience. Online group collaborations can stem from these mind maps whereby online learners work together to find the answer. To inspire learner-generated content in mind maps, let online learners present their own problems, words, or images and ask other learners to solve them. Your organization can present online learners with weekly or monthly topics of online discussions. Having a specific topic of discussion for online learners saves them the trouble of having to decide what to write about in online discussions. Moreover, it is a great way to moderate what is talked about and to ensure that online learners do not deviate from the topic. Repetition of certain aspects of a topic aids in memory recall. Just make sure to provide online learners with guidelines so that they respect one another’s opinions and stay on topic. You should also provide them with a list of platforms they can use to share their insights. For instance, provide links to your organization’s blogs, online discussions, and social media profiles. 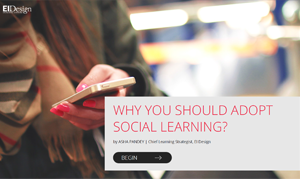 Social learning is a fantastic method of encouraging online learners to engage in lively discussions and exchange valuable tips. There are various tools that can be used to facilitate this kind of learning. From social media groups and blogging platforms to online discussions that feature distinct categories. These resources allow you to cultivate a social learning culture so that they eventually generate knowledge organically amongst themselves. Encourage online learners to upload learner-generated content and comment on others’ posts to provide feedback. 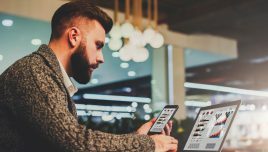 You can even start a closed group that serves as an ever-expanding learner-generated online library, whereby online learners continually upload links and eLearning content that is only accessible to online peers. Most people automatically associate written eLearning content with learner-generated resources such as text-based guides or blog posts. However, videos give online learners the opportunity to express their creativity and enhance knowledge retention. Invite them to produce brief videos that explore tasks, product demos, or skills in action. They can upload these online presentations to the organization’s YouTube channel to share it with their peers. 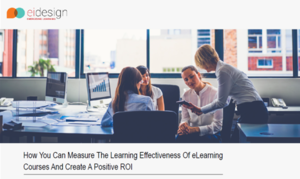 The comment section facilitates feedback, and they can see how well the eLearning content they have contributed is received by the number of likes. Learner-generated content is a learning method that allows online learners to share their knowledge and ideas freely, which benefits all parties involved. It changes the learning process from passive to active. To facilitate this process, there should be an expert to respond to and validate the eLearning content that online learners share. 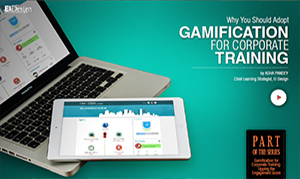 Offering incentives to the best contributors also helps to motivate online learners to conduct proper research and add high-quality learner-generated content to the eLearning course. Learner-generated content also helps the contributor reflect on the topic and assign meaning. Read the article 8 Ways To Encourage Online Learner Reflection In eLearning to discover 8 tried and tested ways to facilitate online learner reflection in your eLearning course.